2902 San Marcos Ave. Suite B. We are open Thursday through Sunday from 12 to 5, and Monday from 1 to 5, or by appointment. Please email: Sarah@blairfoxcellars.com for an appointment. Reservations required for groups of 6 or more due to the limited capacity of our tasting room. Thank you for understanding. If you have any wine club questions, contact: Julie@blairfoxcellars.com. 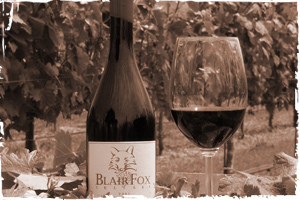 We at Blair Fox Cellars value your feedback and would love to hear from you. Please complete the form below and we will get back to you as soon as we take a break from making our delicious wine. Cheers!